The Cooks Next Door: Baker's Delight: Cookies! 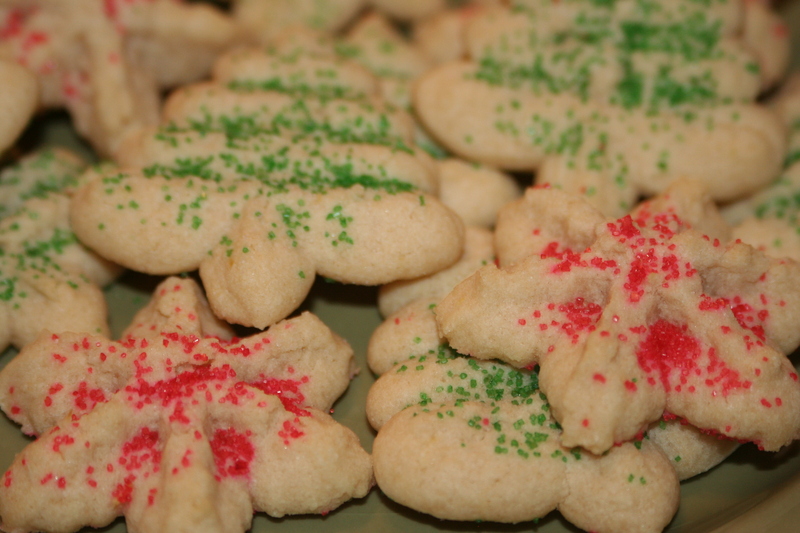 'Tis the season of cookies and candy and such, so I'm sharing several cookies recipes that use a variety of techniques! In a large bowl, cream butter and sugar until light and fluffy. Beat in the eggs, lemon peel, lemon juice and vanilla. Combine flour and salt; gradually add to creamed mixture and mix well. Using a cookie press fitted with the disk of your choice (I really like my Pampered Chef one! ), press dough 1 in. apart onto ungreased baking sheets. Sprinkle with colored sugar. Bake at 400° for 8-10 minutes or until lightly brown around the edges. Yield: about 12 dozen. Cream together butter and sugar. Add flour and vanilla. Roll small balls of dough and place on cookie sheet to b ake. Bake about 10 min. just before turning brown. 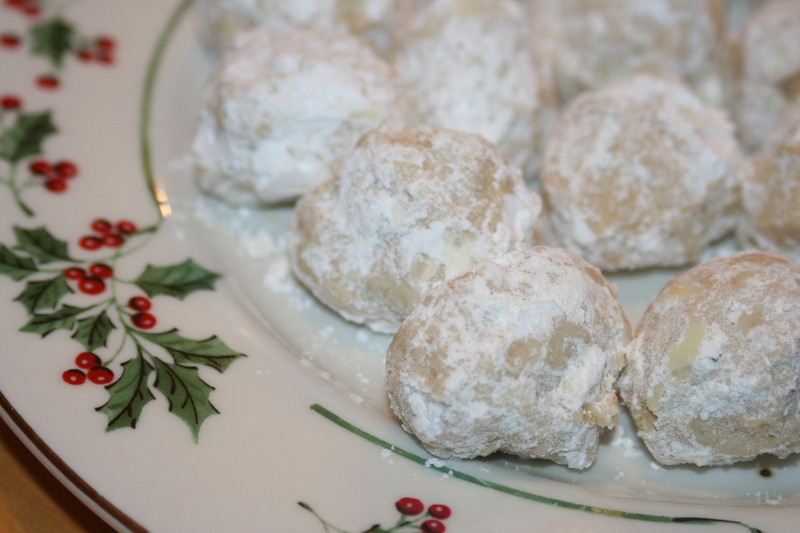 Roll immediately into powdered sugar. Make 1 1/2 - 2 dozen. Preheat the oven to 375 degrees. Arrange the almonds on a baking sheet in a single layer and toast for 10 minutes or until they are colored. Remove the almonds from the oven and turnoff the oven. Cool the almonds slightly, then process in a food processor until very finely chopped. In the bowl, of an electric mixer set on medium speed, beat the butter, shortening, and both sugars until creamy. Add the cinnamon, nutmeg, cloves, baking soda, egg, and vanilla and beat until combined. Beat in the flour. Stir in the chopped almonds. Shape the dough into two 6-7 inch-long rolls. Refrigerate, wrapped in plastic, for at least 6 hours or preferably overnight. Preheat the oven to 375 degrees. Remove the rolls from the refrigerator and unwrap them. With a sharp knife, cute each roll into 30 slices. Place 1 inch apart on ungreased baking sheets. Bake for 8-10 minutes, until the cookies are golden brown on the bottom. Remove from the oven and cool on the baking sheets for 2 minutes before transferring to a wire rack to cool completely. Store in an airtight container for up to 3 days or freeze for up to 2 months. Actually, this comment has nothing to do with cookies (and I WILL be trying some of the recipes). I actually need some advice on brie. I have a wheel of brie and a puff pastry to wrap it in. My question is....many years ago I watched an older friend make a brie with peppers in the middle. The results were delicious, but I have no idea what she did or what peppers to us (I believe she used jalepenos which is what I woudl want to use if that is the case). Can you give a little guidance on how to recreate this delicious treat? 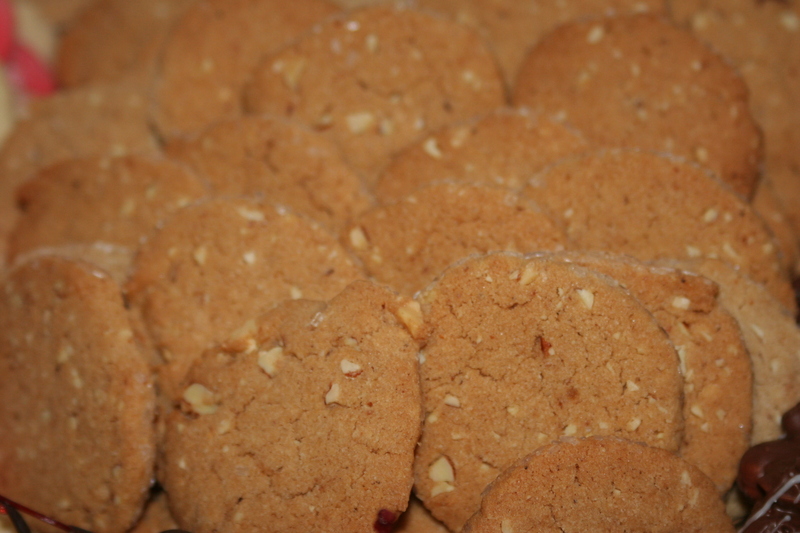 the Oatmeal cookies at the top look so very good! I will be trying that recipe for sure! I will readily admit that I've not had brie with jalapenos and that I have not done brie in puff pasty (though I've eaten it and it's delicious!). - Cut the brie horizontally in half. Place peppers of choice in the middle and push together. - Roll out puff pastry. - Put brie in the middle and bring edges of puff pastry up over the brie. - Brush pastry all over with beaten egg. - Bake at 350 degrees until pastry is golden and cheese is soft and melty - probably 20-30 minutes but keep an eye on it. - Serve warm with crackers. Jalapenos might overwhelm the flavor of the brie - let us know if/how it turns out! Roasted red peppers would be a lovely pepper to use if you decide to try something different.